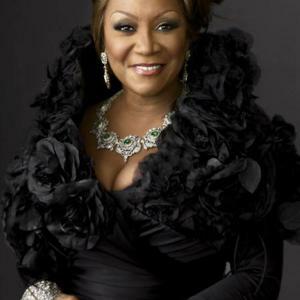 Patti LaBelle (born Patricia Louise Holt on May 24, 1944 in Philadelphia, Pennsylvania) is a hugely revered R&B/Pop/Soul singer-songwriter and occasional actress. Patti has fronted two moderately successful groups before rising to stardom as a solo artist in the late 1970s, influencing a new generation of female singers. She is best known for her strong vocals and her signature high-octave vocal belting. She has been largely compared to Aretha Franklin during the 1970s, but her distinguishing vocal range remains unique and recognizable, and she is widely regarded as one of the greatest vocalists of all-time by such industry publications/media outlets as Jet Magazine, BET and VH1. LaBelle has recorded 16 solo studio albums since her solo debut. Patti LaBelle has also sold a reported 50 Million albums. Her biography Don't Block the Blessings, remained at the top of the New York Times best seller list for several weeks. In addition, she is also a bestselling cookbook author - on Twitter as @LaBelleFoods.